At PRF Electrical, we love solar power. We love the way the technology is advancing, the photovoltaic cells are getting more efficient and durable, and the fact that costs keep coming down. 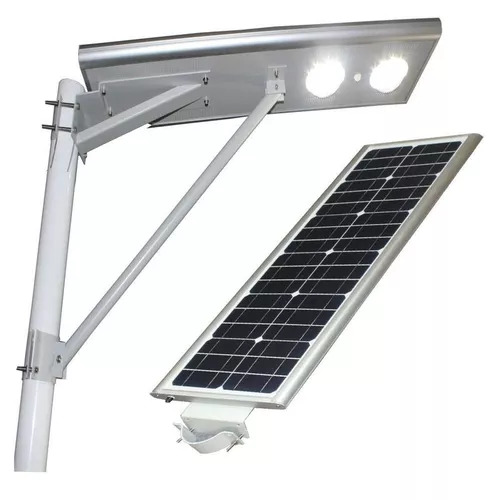 So when we heard about an all-in-one Solar Powered Street Light, we had to see it for ourselves. We went to the trouble of importing one from China, and we currently have it under test at a major Perth shopping centre. The unit is easy to handle and install, works on a sensor that switches it on at dusk and off at dawn, and looks like providing a powerful, reliable light source, installed for less than $3k. We’ll keep you posted on the success of this trial, but if you’re a local council, property developer, shopping centre manager or rural property owner, call Phil at PRF Electrical and we can have a talk about how it might help you.